A new state of emergency has been declared in Baghdad. President Obama reponds in his customary manner. Press pool spotted golf clubs being loaded in the motorcade as Pres Obama departs WH to unannounced location. Venezuela's socialist unraveling has killed off major beer making operations. Wall Street Journal notes the most recent closure leaves Venezuela with just a week's supply of beer on hand. Sunday is May Day. And May Day has long been a day dear to the hearts of Commies, socialists, and anarchists alike. Los Angeles police officials said Friday they are aware of four separate May Day marches, and that they are staffing up in case the demonstrators get out of hand. On Saturday, supporters of Democratic presidential candidate Bernie Sanders are expected to converge on downtown L.A. for a march and rally tied to International Workers’ Day, or May Day, on Sunday. But the largest crowds are expected to gather downtown Sunday to demand equality for immigrants and protest Trump's controversial statements about people from Mexico and Muslims. With so much attention focused on California this May Day, will anyone even notice if there's May Day madness in places like Seattle, Portland or Chicago? Ted Cruz is now reported to be on the verge of naming Carly Fiorina as his 2016 GOP running mate. Strikes me this is yet another desperate Cruz move destined to backfire. By naming a running mate now, Cruz signals he and his campaign understand they are no longer viable on their own, so they grasp for additional star power to keep things alive. Coupled with Monday's "deal" where Cruz and Kasich now split which states to campaign in ahead of upcoming primaries, the Cruz campaign appears to be far more desperate than most would have imagined even a week ago. Despite legal thresholds that should have stopped it, the civil suit over the Sandy Hook killings moves forward. "We’re looking for documents, and we’re looking to depose key people at Remington especially, but also at the distributor and the retail level. We’re asking for internal memos about how to market the AR-15 and how to market specifically the patrolman’s carbine, which is the one that Adam Lanza used," says plaintiff's attorney. But Adam Lanza didn't acquire his weapon(s) through marketing channels. Lanza murdered his mom and stole her guns. Chelsea Clinton says to vote for her mom so her mom can stack the Supreme Court against the Second Amendment. "My Moment came a month ago. I’d recently told a friend my emotions felt too close to the surface—for months history had been going through me and I felt like a vibrating fork. I had not been laughing at the splintering of a great political party but mourning it. Something of me had gone into it. Party elites seemed to have no idea why it was shattering, which meant they wouldn’t be able to repair it, whatever happens with Mr. Trump. "I was offended that those curiously quick to write essays about who broke the party were usually those who’d backed the policies that broke it. Lately conservative thinkers and journalists had taken to making clear their disdain for the white working class. I had actually not known they looked down on them. I deeply resented it and it pained me." Donald Trump was a bundler who raised lots of money for McCain and Romney, men who seem honorable. Yet they turned their back on Trump and actually worked to block his nomination. Theories abound as to why that may be. I will offer this one: It is not that Trump is about to be elected president -- it is about the people who will elect him. McCain outright called them "crazies." I'm not necessarily in the Trump camp, but I think the premise presented is a valid one. Astounds me how GOP establishment not only continues to attack Trump, but also attacks Trump supporters. Strikes me, GOP leadership seems perfectly happy running a second tier party, and looks perfectly content to lose both this year's presidential election as well has huge numbers of the party's (former) voter base. I've seen speculation that today's GOPe finds it easier to fund raise as the minority party. And being a minority party, there's a built-in excuse for not delivering on the "conservative" agenda the party touts in most every campaign. With GOP already controlling the House, and having a slim majority in the Senate, should a Republican win the White House, the party's excuse for failing to reverse Washington's present "progressive" direction would vanish. This, I believe, would be a nightmare for GOP establishment, and the party will act increasingly dysfunctional as it works to make sure it doesn't happen. If Democrats thought we'd freak out over their decision to put Harriet Tubman on the Twenty, they best think again. Some candidates may be better than others, but all have campaigns engineered with intent to drive your emotions. Well well, another supposedly slick anti-gun ad from the Brady folk. One, as David Codrea says, "Brought to you by people who prefer a Queen with the unchallengeable power to command "Off with their heads!" Additional thoughts on this anti-gun ad produced seemingly by people who know nothing of the gun they chose. She looks old enough. Maybe someone should take Alice to the range to learn the right way how guns work, and what the safety rules are. I hate depending on GPS to find my way around. Sure, talking GPS navigation and online maps are prevalent now, but I also like have a hard copy of local maps for times when Internet is down or cellphone data is unavailable for map viewing on-the-go. Imagine my shock today when I opened up Amazon.com and found local map books for my county are now priced from $500 to well over 2-grand. Local map books, it seems, have gone the way of telephone books, and are now deemed an obsolete collector's item. Kept digging, I managed to find a "little used" 2010 Gwinnett County map book from a used book seller for around ten bucks, plus shipping. Snatched it up. Would have bought another if two had been available. Used map books showing neighboring Atlanta and DeKalb County appear more common and readily available at more typical used book pricing. Bought one o' them as well. Highly recommend acquiring local maps now if you've not done so, if you can find 'em at a reasonable price. Never know when you might need 'em. And if you never use 'em, you may be holding on to a pricey collectible. When rioters fill Parisian streets, and the sting of tear gas fills the air. Decadent America.. or have we surrendered to the next phase? The barbaric civilization described above seems to have a lot like Obama's fundamentally transformed America. Our Molly cat likes it when I buy from Amazon. Regular stores stuff your stuff in plastic bags. 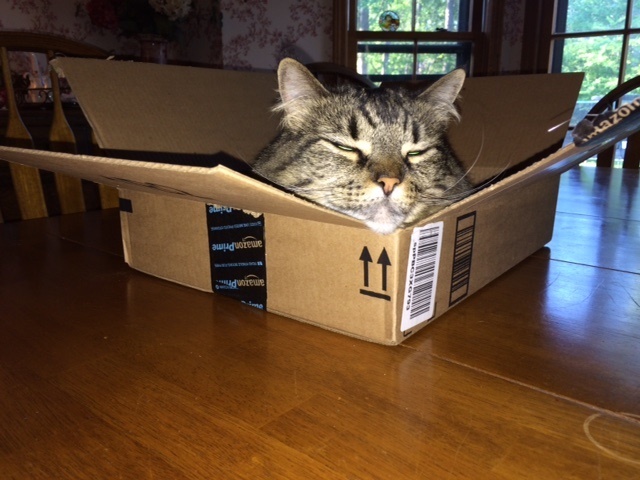 But most Amazon orders arrive in a free, comfy cat bed. Time was, Americans were polite toward one another, even toward those they disliked. Deliberate insults weren’t rendered in public. No one would crow audibly at an enemy’s bad fortune. There was a sense of obligation toward one’s community that expressed itself openly and naturally toward those suffering times of trouble: with casseroles, and gifts of clothing and heating oil, and occasionally with direct monetary assistance. Men rendered jobless by an economic downturn were expected to “pound the pavement” until they’d found new work. Their wives were expected to pull the oars alongside them, in whatever ways they could, to help keep the family afloat. 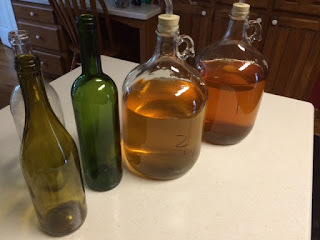 My first gallon batches of homemade wine have been fermenting/aging for two months now. I've done several re-rackings along the way (That's when you siphon off the wine to eliminate sediment that's accumulated on a jug's bottom). Batch one, using wine making yeast and started out with an airlock, is a disappointment. It has an aroma and even perhaps a bit of taste like the rubber stopper that held the airlock. Perhaps I should have cleaned it better, or even boiled the stopper, prior to use. Batch number two, started out with a balloon, not a rubber stopper, doesn't have the rubber aroma. I've used a rubber stopper and airlock on this batch after the initial fermentation, but no odor has been imparted. This is quite the tasty homebrew. My guess is whatever the odor is, was perhaps imparted during initial fermentation. May go ahead and bottle batch number 2, while chalking batch 1 off to experience. Gonna also put some effort into de-odorizing those rubber corks. Update: Airlock on batch #2 still shows signs of activity, so going to put off bottling another few days at least. And I've noticed the airlock stopper used on batch #1 puts off a much stronger odor than the stopper used on #2. Even boiling doesn't seem to less the odor. Did I get a stopper made from a bad batch of rubber? Update II: Did the stopper give odor to the wine, or was it the other way around? Either way, batch #1 is down the drain. And batch #2 has gone to the fridge to put a check on any further fermentation. Perhaps I should have put a chill on things a few weeks back. Additional reading on the Climate Change inquisition. On April 9, 1865, the American Civil War ended with Robert E. Lee's surrender to General Grant in Virginia. 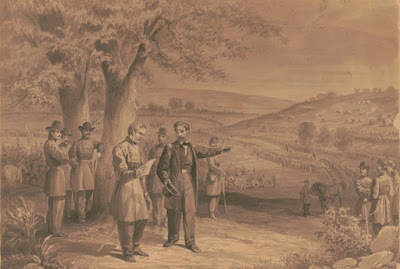 Drawings of the era show the two generals meeting under a large tree, In the one shown here, Lee appears to be looking over terms of the surrender. 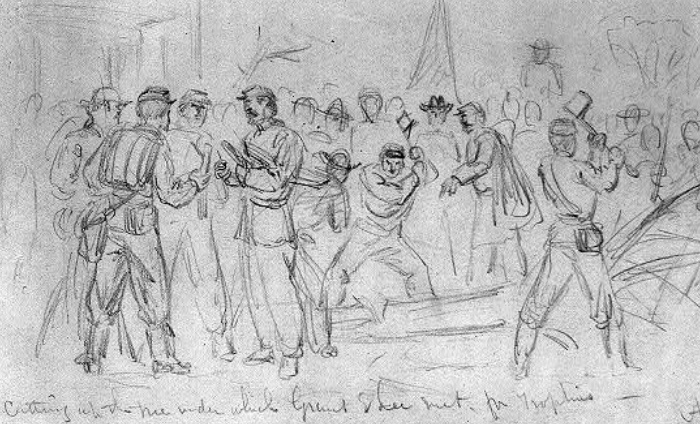 A lesser known scene was also captured in a drawing of the era. Union soldiers soon after cut down the tree and chopped it to bits, to be carried home as war trophy souvenirs. Update: Since posting this, I've read as many as five trees may have been felled that day at Appomattox Court House. At least one of them is said to have been an apple tree. Government now says hair dryers pose too big a burden on the power grid as socialist Venezuela. continues to crumble. Was on the road this week when news broke Merle Haggard has passed away. During some brief stints as a conntry music dj in the '70s, I had opportunity to play Haggard records on the radio. Here's one that charted in the top ten back then. Would it get airplay with its lyrics if released today? Sound the alarm! Spread some hysteria! There's a Kluxer on campus! Safety warnings were issued when reports spread that a robed Klansman was spotted roaming across an Indiana university campus. But it turns out what was spotted was actually a Catholic priest. If the story's accurate, I suspect alarmist collegians saw a klanman because they've been indoctrinated to see Klansmen (or other racist boogeymen) even where there are none. Sightings are necessary to justify the self-induced hysteria present today on many university campuses. Thank goodness the priest wasn't carrying chalk. Japan to print more "large bills" as experts see more Japanese stashing cash at home, says a report in The Japan Times. At today's exchange rate, a 10,000 yen Japanese note is worth about $92.26, so it's the working comparable to our hundred dollar bill. Look out, California. Would be gun grabbers appear to be switching tactics. Californian Lt. Governor Gavin Newsom is hitching his 2018 gubernatorial campaign to a statewide ballot proposal that would sharply restrict the sale of ammunition. Is this part of some socialist job creating program? Does Newsom propose checkpoints on all roads into California? Aerial surveillance to thwart those who might pack in ammo on foot across state lines? Why do guys like Newsom presume his state line will stop anything when guys like Newsom have made a mockery of the U.S. border, and allowed cities in California to become sanctuaries for illegals? Ammo will be much easier to smuggle than firearms themselves. Then again, guys like Newsom would invite the smuggling, turning the occasional bust into twisted justification for a nationwide ammo ban. Welcome to the tangled times of modern America. Bottom line, if you like your guns and ammo, you best acquire sufficient amounts now to ride out any political or other disruptions in supply. 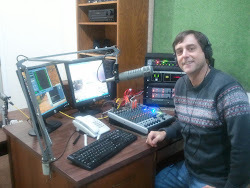 Most readers of the Sipsey Street Irregulars blog know that its creator, Mike Vanderboegh, is in declining health. Last Friday, David Codrea's War on Guns blog carried an update on Mike's status, saying yes, Mike's feeling quite ill right now. I'm going to repeat my call to not burden him with emails and blog comments. I'll continue to check in with family members, and if and when anything relevant to share comes to my attention, I will pass it on. Let me say at the outset, this review/assessment does not speak to longevity or durability, two of the solar units are new, the third is a little used one I've kept but seldom made use of. Also, because of the time involved, I did not check for charging times of specific devices. 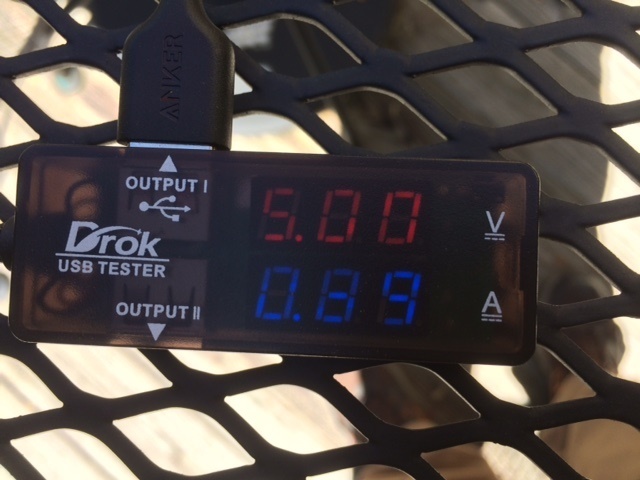 For the first round of testing, a Drok mulitmeter was used to test output charging into a Anker Astro battery pack with a 1 amp charge rate. The panel sets tested were an older Thunderbolt Solar 5 watt set (from Harbor Freight) I've had for several years, a SunKingdom 19.5 watt set recently purchased on Amazon, and an Aukey 20 watt unit, also bought on Amazon. 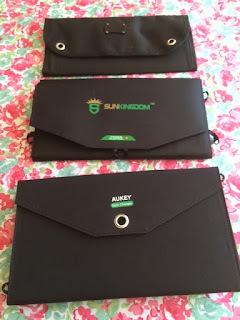 The SunKingdom rig cost under $40, the Aukey was under $50. Testing conditions were sunny, breezy and an outdoor temp of 60F on this early spring day. Time was around 1:00 pm EDT. The Aukey and SunKingdom sets come with advertised outputs of better than 2 amps, but the uptake capacity on the battery pack appears to have been a limiting issue. 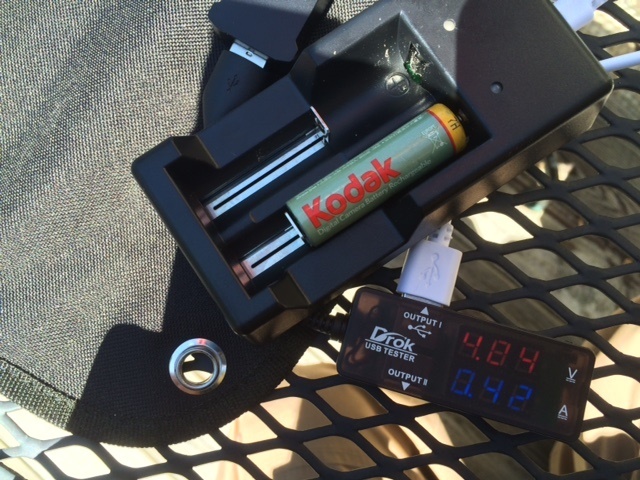 Curious, I moved on to try two of the panels with a LingsFire charger loaded with one old Kodak NiHm battery. The 5 watt Thunderbolt was relatively competitive with the 20 watt Aukey in this test, with peaks around 4.84 volts, .42 amps with Thunderbolt, 5.21 volts; .48 amps off the Aukey. I didn't test the SunKingdom with the LingsFire. The LingsFire charger appears tobe a pulsing type, so there' bursts to the peak intermittent with drops in amperage. The LingsFire, when plugged into an AC wall outlet USB also drew only .48 amps, the Anker battery pack only drew .92, this is consistent with the draws from the solar panels. 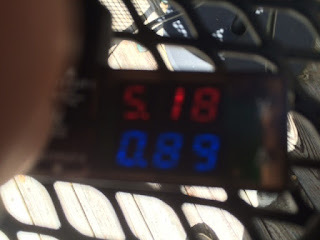 Unfortunately, I don't have any USB powered devices that utilize higher amperage to see if more capacity could have been drawn out of the solar panel sets under today's conditions. 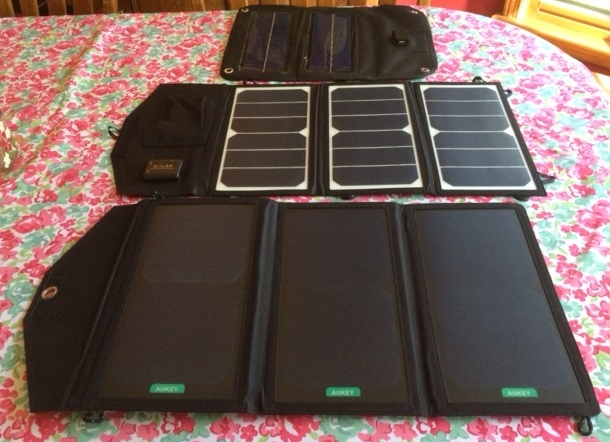 I like the idea of being able recharge using solar on the go. Great for hiking, travel, power outages, or to stash a panel in a bugout/get-home bag to keep your phone, AA/AAAs and other batteries topped off. Because the LingsFire charger works so well with the bare bones 5 watt charger, a low wattage unit may be the way to go when using this kind of charger. 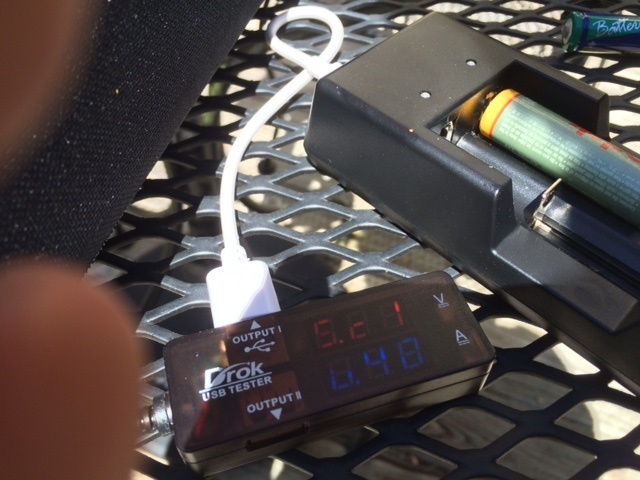 Five or seven watt solar chargers can be had for around 20 bucks today, the LingsFire charger itself was around 10. 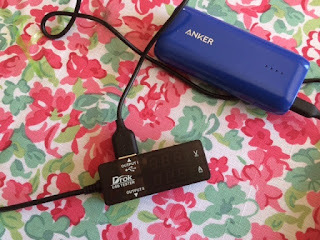 I presently have two of the Lingsfire chargers, and the Aukey and Sunfire, with double USB outputs, appear to have the power to handle two chargers at once. 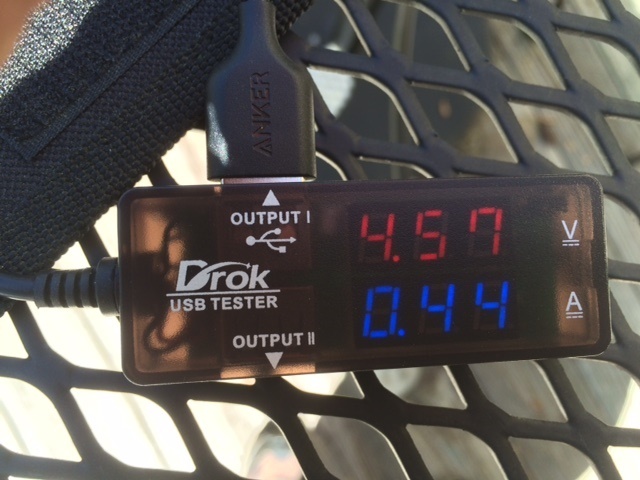 If a couple more additional tests go well, I may get more so I have a AA/AAA charger for each of my five USB portable solar outputs. If anyone has good experiences with a AA/AAA USB charger with a higher amp intake, I'd like to hear from you. More amps mean faster charging. If anyone's using specific 5 or seven watt solar chargers with good results, I'd appreciate like to know. I'm thinking bare bones charger combos make for excellent birthday or holiday gifting. One more thing worth noting, the SunKingdom and Aukey charger canvas (or canvas-like) cases have loops to allow hanging at various angles to maximize sun exposure. Online reviewers have also suggested hanging them over a backpack to allow some degree of charging while on the go. For someone planning to be on the move while charging, the Aukey controller and USB ports are mounted inside a zippered mesh bag, allowing batteries or other devices being charged to securely travel in the pouch attached to the charger. The SunKingdom charger has a pouch near its USB ports, but it's a snug fit for my iPhone5. Update 4/4/2016: My iPhone battery was nearly depleted late this morning, so I put the SunKingdom charger up on my deck rail and plugged the phone in. Charging as normal, no error warning that typically accompanies alternative power recharging an iPhone. The charge rate also appears to be on par with Apple wall cube. 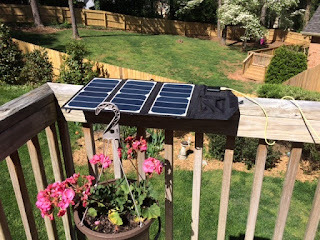 Note that I've used an extra long charging cable to allow the phone to be stashed in a shady spot while charging, and the cable's wrapped around the deck rail so that the phone won't follow if the charger is blown over the side by breeze. Can anyone really be so shortsighted to use "diversity" as justification to allow the Islamisation of Europe? Once demographics swing in Islam's favor, has Islam ever tolerated diversity well? Has any sitting U.S. president before now ever censored, altered, or redacted the comments of another sitting head of state speaking at a summit or other official event? Mr. Obama and his team go to great lengths to bend reality to avoid offending the agents of Islam. Ever wondered what it would be like to live in a world like the one described in Atlas Shrugged? If you open your eyes, you might realize you're already living smack-dab in the middle of one. Don Dickinson and I talk about it today, offer some comparisons, in today's webcast.